Samsung Galaxy S Duos S7562 Specs, features, review, Pros and Cons- Is it the best Dual Sim Android phone? 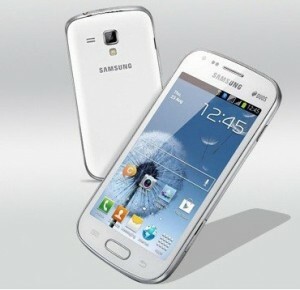 Yes, you are very much right the Phone represents Nexus S in term of Specs and Galaxy SIII in the design prospects. Nexus S has already got the Android 4.1 Jelly Bean update and there are chances that Samsung will provide Jelly Bean update officially for Galaxy S Duos. So this may be the first Jelly Bean Dual Sim Android Phone. Right now, there is nothing official about the firmware so we are still waiting for a formal announcement. Era of single Dual Sim Phones are over. Lenovo has already launched the first Dual Sim Dual Processor device the Lenovo A660. You can get almost same features at a lesser price with Spice Mi 425 or you can settle down to Sony Xperia Tipo Dual which is the first ICS Dual Sim Phone. When you look at the quality of craftsmenship on Galaxy S Duos then you will compare it with HTC Desire VC or HTC Desire V dual sim Phones. I feel that HTC Desire VC has got a great competitor but still Desire VC features a 1650mAh battery that definitely adds some points to HTC’s Side but still Galaxy S Duos is a clear winner with its price. If you looking for an Android Phone that has big screen, good camera, good music, Nice design and cool Android Ice Cream Sandwich then Galaxy S Duos is a definite consideration and it will give you Dual sim as an added advantage. Galaxy S Duos is priced around Euro 250 or $320. At this price this is the best Dual Sim Phone available.